Our games are being built with top edge technology for best performance. All HTML5 games are ready to be play on all devices that have an Internet connection. We pay special attention to UI/UX. We want to capture the players’ attention and give them such an experience that they keep coming back to play our games in your casino. All our games are brand new and original. We also offer the possibility to make new games according to you wishes therefore if you want to create your own custom game please contact us so we make you vision come true. Multiple formats for different devices? That's the old era. Welcome to our world. Our games can be played on almost every device with Internet connection. Desktops, notebooks, smartphones, tablets, phablets, you name it, we have it covered. We take responsive design and development to the edge and create really all-around products which can be accessed from everywhere with any device having browser. Lot of talk have been made regarding which one is better. We can't tell you which one is better, but we can tell that HTML5 is progressing way to good to be ignored. And our games are utilizing every possibility made by technology. But, just in case you prefer Flash, we have all games in that format also. So, it's up to you to decide which one will you use. All of our games can be redesigned in very short time. Our estimates are precise and we can create new games for you in less than a week. In case you would like to create different version of design for mobile platforms, it's perfectly fine with us. Send us your designs or let our creatives do the work. We guarantee satisfaction with end result. 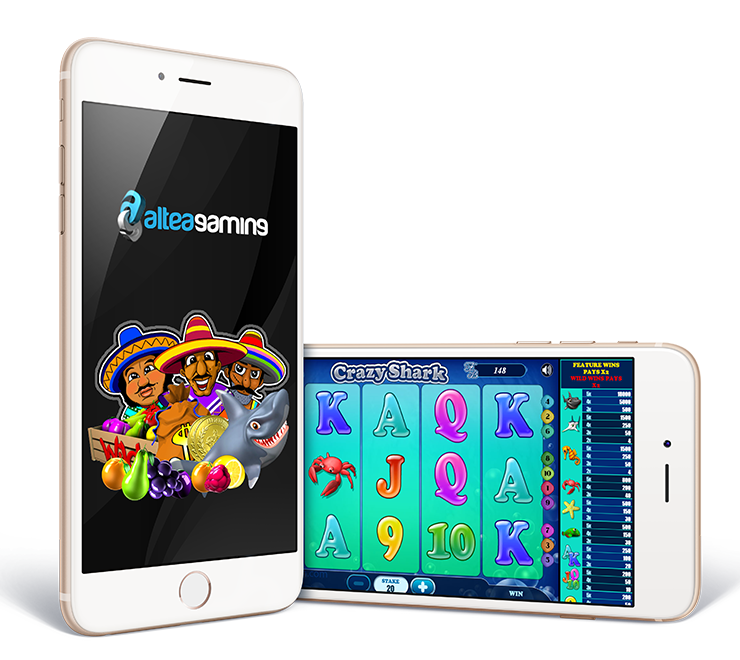 AlteaGaming is part of the Alteatec Group; an international group of IT companies offering online distributed casino management systems and games. The Alteatec Group has conducted business in Austria, Serbia, Malta, Germany, Romania and USA for 10 years. Our vast knowledge and experience is used in every segment of production; from planning to after-launch support. Our strength comes from our everlasting wish to grow and change things for the better. That's why we are changing and using the latest technologies whilst building our online games. In the world of online gambling we are pioneers of latest technology usage. As creative part of Alteatec Group, we engage young, experienced and talented team players to provide the clients with high end games according to their needs. Together with our clients, we make everyones visions’ reality. Our talented designers and developers strive to be creative and work on projects that are unique. If you feel the same like we do, you are welcome to send your CV along with covering letter via the form below. We will contact you as soon as we have a job vacancy that matches your profile. AGP Backoffice is integrated with Paladix Casino Management System. Nevertheless, AGP can be connected to various CMS's using our well documented APIs. On the other hand, new games can be easily added to our platform so if you have your own games which you would like to add to our collection with special revenue share deal, please feel free to contact us. AGP Backoffice is completely web based so you can reach it from any location as long as you have an Internet connection. Reports are generated using real-time data so you are able to explore various kinds of statistics and graphs. You can also set automated email reports using any criteria and time range. Based on Java, the entire system is very fast and reliable. It is very user friendly since our aim is to optimise the user’s experience by making it simple to use.